Once the Classic Market Tote pattern was released, we saw so many being created so we decided to share with you some of those creations! 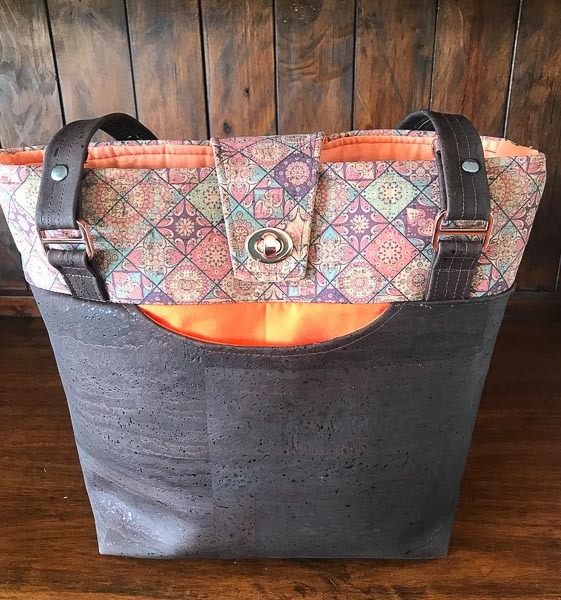 Check out the beautiful totes that were shared in the Andrie Designs Facebook Group and Instagram below! 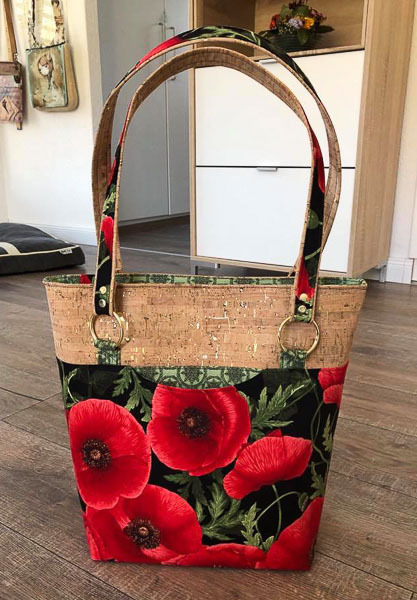 Claudia created this poppy and cork Classic Market Tote with beautiful double sided straps! 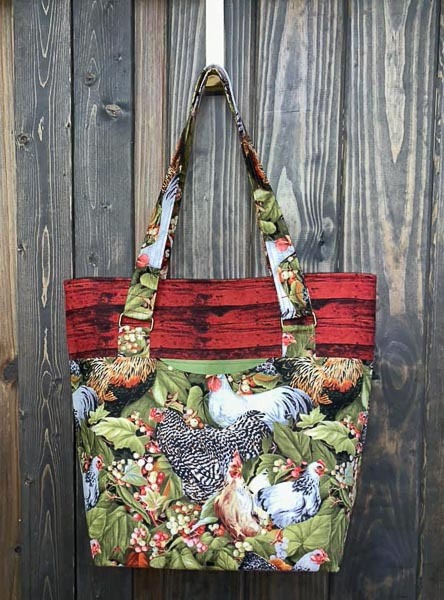 Our cover bag this month is this chicken themed tote that Paula from Paula Made It made. That wooden board theme print is the perfect accent panel. 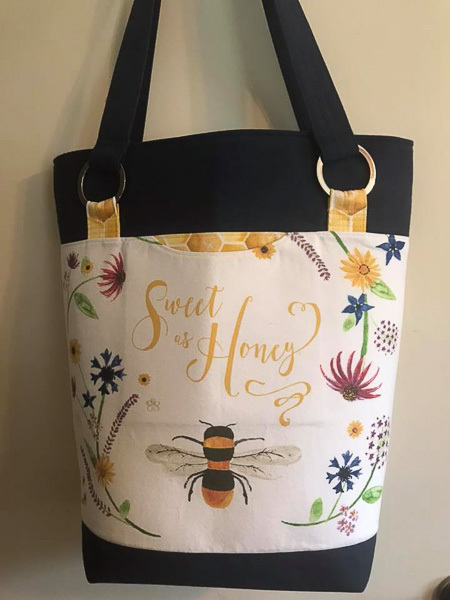 Terry created this “Sweet as Honey” tote out of a couple of tea towels! Lia made this cork Classic Market Tote with a cool little flap closure addition! 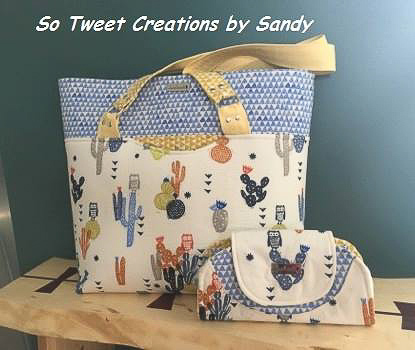 We love this set that Sandra from So Tweet Creations by Sandy made. The Cleo Everyday Wallet really compliments this bag! My favourite thing to do every month is scroll through the #andriedesigns and #andriedesignspatterns hashtags on Instagram. Check out the Classic Market Totes I found this month! I just love these awesome Classic Market Totes. Which one was your favourite? Let us know in the comments below! Make sure to tag @andriedesigns #andriedesigns or #andriedesignspatterns on Instagram so we can see your recent creations and don’t forget to share in the Andrie Designs Facebook Group too. It’s the perfect place to share, ask questions and catch all of Lisa’s updates! 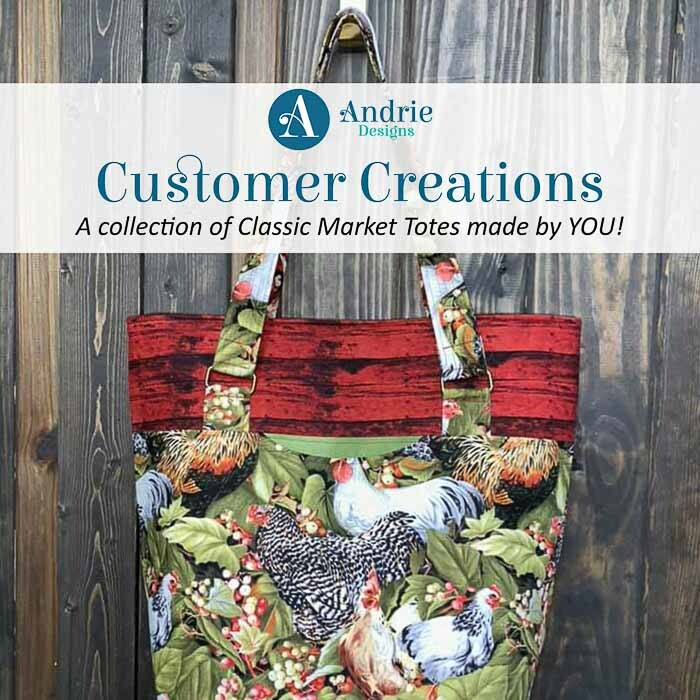 This entry was posted in Customer Creations and tagged andrie designs, andrie designs patterns, classic market tote, Customer Creations, market tote, market tote pattern, tote pattern.